Simon & Schuster/ TED, 9781501119927, 160pp. By thanking these people face to face, Jacobs finds some much-needed brightness in his life. 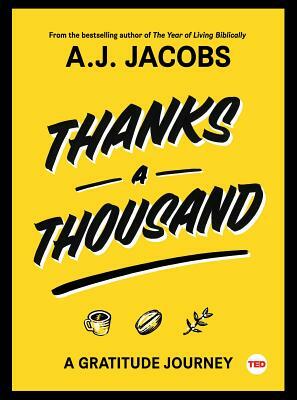 Gratitude does not come naturally to Jacobs—his disposition is more Larry David than Tom Hanks—but he sets off on the journey on a dare from his son. And by the end, it’s clear to him that scientific research on gratitude is true. Gratitude’s benefits are legion: It improves compassion, heals your body, and helps battle depression.